A young aspiring lady , sharing knowledge from different sectors of society, which she observes in her daily life and moulds them in a way to give her viewers a better understanding of the difficult. She is a bio student by profession , continuing her under graduation and looking up to contribute to the society as much as she can. 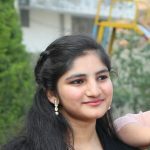 A personal blog by Simran , where she shares the things she like, from poems, stories, quotes to photography , if you like please share our posts on your social media accounts and help the community to grow. Copyright © 2018. Created by GurJas Creations.